On 10 April 2019, the Chamber of Deputies approved with 382 votes in favour, no votes against and 43 abstentions, the unitary motion for the recognition of the Armenian genocide, the extermination of one and a half million people perpetrated by the Young Turks, between 1915 and 1917, in the territories of the Ottoman Empire against the Christian minority. The Italian government is therefore committed "to officially recognize the Armenian genocide and to give it international resonance". The text of the motion also includes the words of Pope Francis who, on 12 April 2015, on the occasion of the centenary of the Armenian genocide, recalled the massacre of the Armenian people, calling it "the first genocide of the 20th century", causing Ankara's harsh reaction. 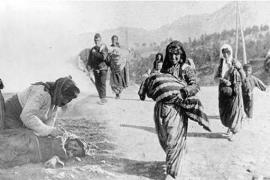 Before him, even Pope John Paul II had used the term "genocide" to define the tragedy of the Armenians. Italy joins the countries - including Austria, France and Germany - which in Europe have already recognized the genocide or which have followed the European Parliament's Resolution of 15 April 2015 on the centenary of the Armenian genocide, which once again invited Turkey to recognize the genocide in addition to inviting Armenia and Turkey to engage in the realization of a positive reconciliation among their peoples.